I never would have guessed that the funniest mad-scientist flick I would watch this weekend wouldn’t be Bride of Re-Animator. No, that honor belongs to Altered States, a movie so hilariously awful that it has made me retroactively reconsider my love of writer Paddy Chayefsky’s previous effort, Network. The first half hour (because this is not a seriously recommended movie, there will be spoilers) is devoted to scenes that are usually, RIGHTLY, glossed over with a few lines of exposition. Instead of a throwaway line like “Oh, they’re getting divorced,” we get to see how (cold, dickish…well, “William-Hurt-ish,” really) William Hurt and Blair Brown meet, get married and drift apart. Instead of “This psychotropic serum came from a Mexican mushroom ritual I sat in on,” we get to see Hurt travel to Mexico, meet with a guide, talk about what he may experience, then watch him take part in the ritual, then watch his hallucination at ludicrously extended length. For my money, though, the best “Tell, don’t show, and then hell, let’s show!” moment comes when a post-coital Hurt launches into a long and bizarrely personal story (for a first date) about how his dad’s death from cancer caused his lapsed Catholicism – right before the next scene, where a sensory deprivation tank-induced hallucination drives all this home with bulldozer subtlety. Then the plot actually starts. And that’s when I knew it was, in all honestly, one of the most hilariously bad films I’ve seen in quite some time. If it weren’t so completely self-serious, I would assume that Altered States was actually aiming for the levels of mad-science comedy that the Re-Animator movies aspire to. The plot, in essence, boils down to this: a scientist figures if he takes hallucinogens in a sensory deprivation tank, he’ll figure out whether we have some primal, intrinsic understanding of God within the most primitive sections of our own brains. Okay. So far, so good. I’m on board – psychedelic sci-fi is the basis of a couple Warren Ellis books I quite like. BUT! What he could not have realized (and why on earth would he?) 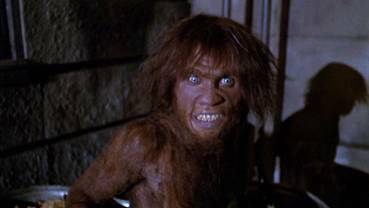 is that, apparently, if you take a Mexican mushroom concoction for extended periods, eventually you will physically regress into an actual caveman (who is not only NOT William Hurt in caveman makeup, but seems to be a ballet dancer doing an elegant interpretive-dance caveman pantomime). And THEN, he regresses into something even weirder! Something that looks a lot like a man-sized fetus that shoots out Chernobyl levels of energy (for some reason – these must be some freaking amazing mushrooms)…and then he returns to normal. Absolutely NOTHING is left to subtext. The characters explain every thought and emotion. I kept getting reminded of 60’s Marvel comics, where every character says aloud what they’re thinking and doing even though it’s already clear from the art. In case the previous monologue hadn’t been clear enough. It’s rare you get to sit through a script that’s both incredibly high-minded and astonishingly stupid and logic-impaired. But Altered States stuck the landing in ways I had not prepared myself for, leaving me laughing for a good hour after the credits rolled. Actually, Network (as well as Chayefsky’s other, not-quite-as-famous movie Hospital) suffers from all of those same problems–right down to the inexplicably intricate character-reveal monologues that people have with each other on the first date, the characters explaining everything they’re thinking and feeling &c.
The difference is that it works in Network. I think for a couple of reasons. One is that Chayefsky was genuinely angry about television when he wrote that, and his own, personal anger informs it. It’s not subtly–if anything, it’s overly-talky–but it’s honest, and therefore powerful because of it. I think the other reason is that Network is set in an environment, and has a premise, that is uniquely-suited to people being weirdly talkative and explicative and revealing. Hospital and Altered States don’t share that, because they’re not TV, and Chayefsky doesn’t really give as much of a crap about them. 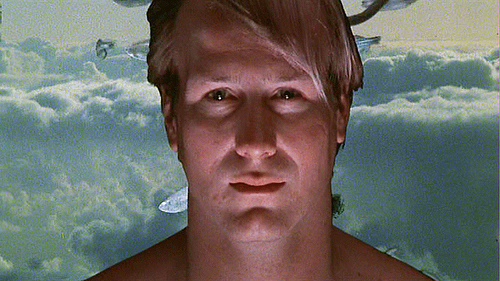 I am slightly aghast recalling Altered States but, like any Ken Russell movie, that’s not all that surprising. After all, this is the man whose enduring legacy in the realm of cinema will be Oliver Reed and Alan Bates wrestling naked in front of a log fire. Russell is not, by his nature, particularly restrained or subtle. Having said that, he is incredibly camp and mindlessly exuberant in his film making, as anyone who has seen The Lair of the White Worm or The Devils would attest. Watch the former for some quaintly British soft-core horror with Hugh Grant and Peter Capaldi in a kilt and the latter for an utterly insane descent into religious symbolism and bonking. One is a classic and the other a cult film. I’m still not sure which is which. Altered States was pants, however. Oh, man, Lair of the White Worm is great. I especially dig the rockabilly White Worm song they sing in the pub. @Dave: I disagree. Ken Russell’s legacy in the realm of cinema will be Ann-Margret doused in baked beans. Man, there is not a single part of “Tommy” that sits right with me. Not even Elton John on three-foot-high platform shoes singing “Pinball Wizard”? Wow. Why don’t people write wedding vows like that, anymore? VIP – “The Fountain” is INCREDIBLY self-indulgent, and while watching it, I kept yelling, “COME ON, ALREADY!” at the screen. And then a few hours later, I realized…I kinda liked it. There is a way of watching it – most logically, that of a man dealing with his grief (the present part) by finishing the story (the spaceman part) his dead wife began (the conquistador part). And in that way, it’s really quite affecting. Or, it’s pompous and self-indulgent and I’m trying to justify the two hours spent. Either/or. The last time I saw “The Fountain”, it was in theaters. My opinion might change after a second, much later viewing. But then, I’ve gotten teary-eyed while Dr. R. Chandra tells HAL9000 that he’s being sacrificed for the sake of the crew in “2010”. So, pay no attention to me. @VIP: I fully believe my opinion of “The Fountain” would have been VERY different if I’d caught it in the theater. It is very much a “Watch alone on a Sunday afternoon and then mull it over” kind of flick. @Davey: yeah, this is where I made my mistake – I went in with actual expectations that the film might be kinda GOOD, thanks to a decent enough reputation. But then, nobody had mentioned ballet-cavemen or atomic fetus monsters. 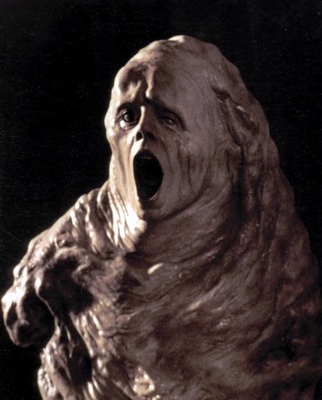 According to IMDB, Altered States was One of the few films to be released theatrically with the “Megasound” sound system format. We need more stuff like this – films released in Insanoscope or Gigantovision – give James Cameron a call, will you? @Davey: Yuppies and Whitesnake were big in the 80s – that doesn’t mean they were good. And the worst film I’ve ever seen in a theatre is Signs (in a cinema in the middle of corn fields in rural Ohio), and that gets 6.9/10 on IMDB.